What’s good? 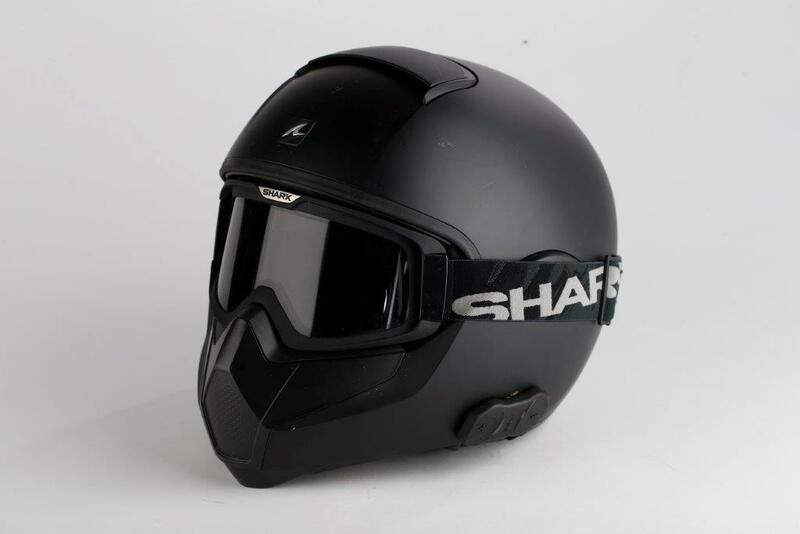 Last year Shark released their ‘Raw’ helmet and MCN’s social media channels blew up with both adulation and derision in equal measures. Nobody really knew what to think about Shark’s new ‘urban’ range of street helmets but impressive sales figures since would suggest riders were crying out for something a little different. The Vancore is basically a Raw with a solid chinbar and separate goggles. It looks nasty (in a good way) and with an internal space for a Bluetooth unit at the back you can fulfil your inner urban-warrior dreams to the soundtrack of your choice. It’s perfect for short bursts around city back streets. What’s not? The goggles are on a proprietary strap attachment meaning that they’re only usable with Shark helmets. Add to that that the foam surround is very thin and that the ‘seal’ with the main body of the lid leaves huge gaps, and you’re left with a lid that’s prone to letting in air and water. Great if you want to look like you’ve actually been on a tour of duty after a stormy ride, not so good if you wanted to arrive feeling comfortable.